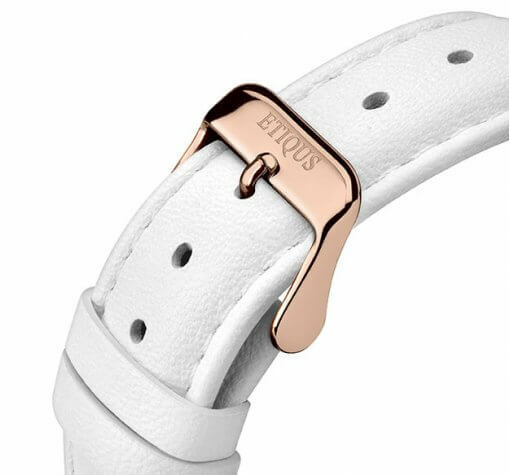 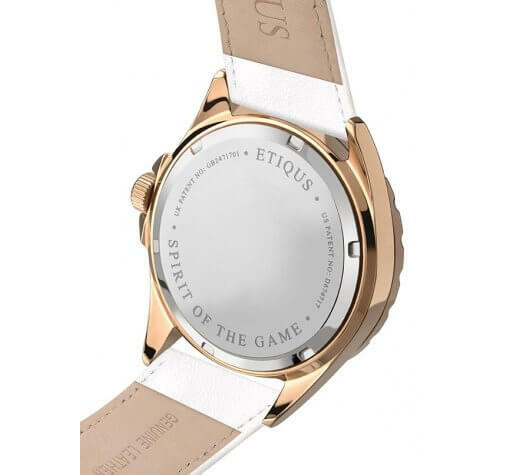 Patented Ladies ETIQUS Timepiece featuring a rose gold plated high grade stainless steel case with sapphire crystal glass and White leather strap. 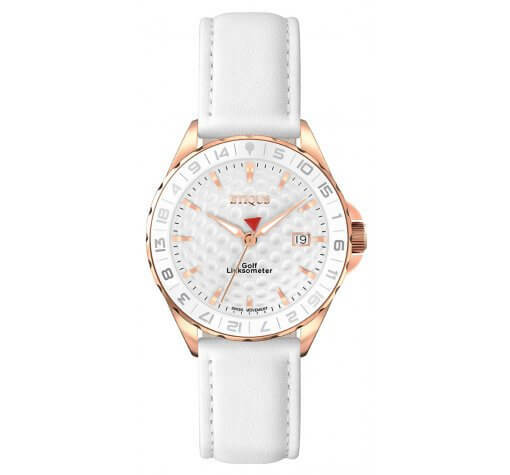 3D Golf Ball effect dial with applied luminous inlaid markers. 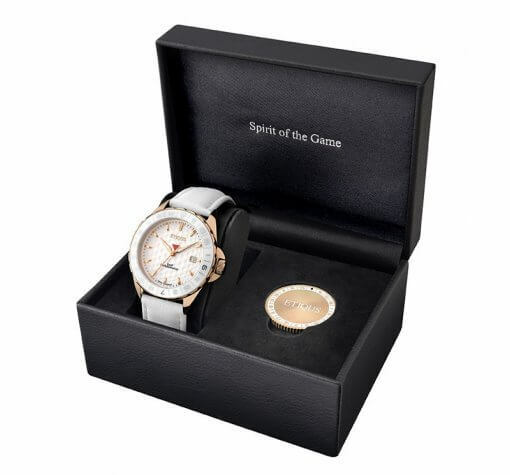 Swiss Quartz big date movement and a rotating ratchet bezel constructed with Golf Linksometer markings presented with a stainless steel ball marker in a gift box. 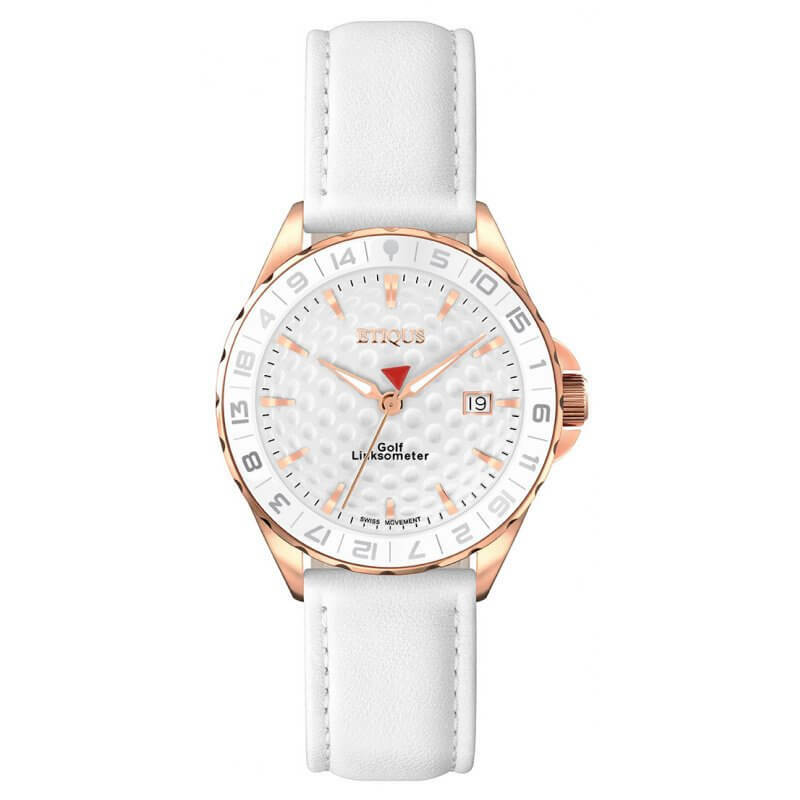 5 I bought this watch for my wife's birthday, had a bit of trouble ordering online but one phone call the problem was resolved. 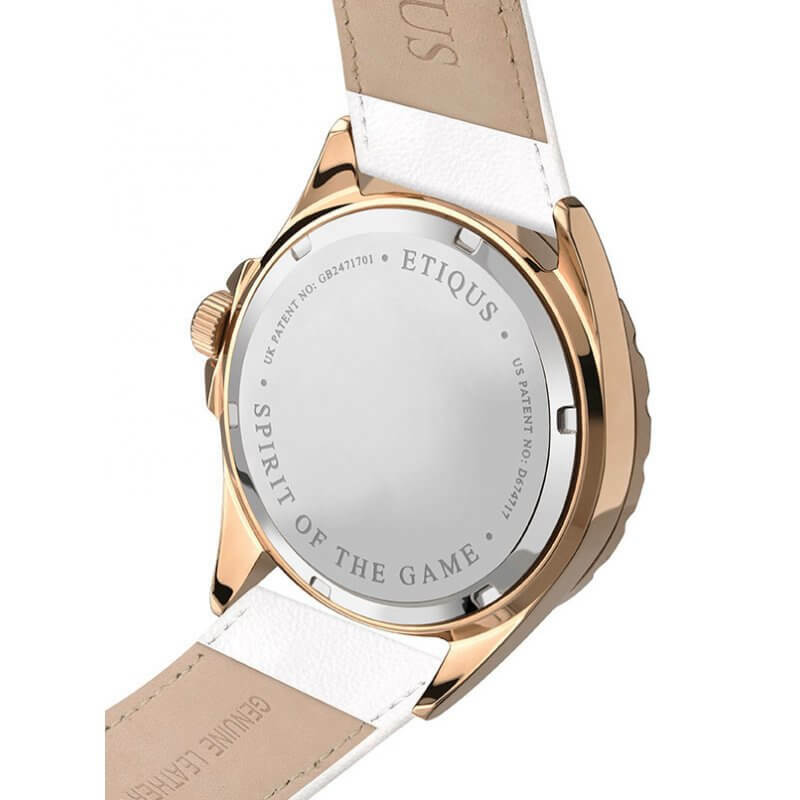 Great product and brilliant customer service.